Once again, many students at LCIS will have a warmer winter than they may have anticipated. 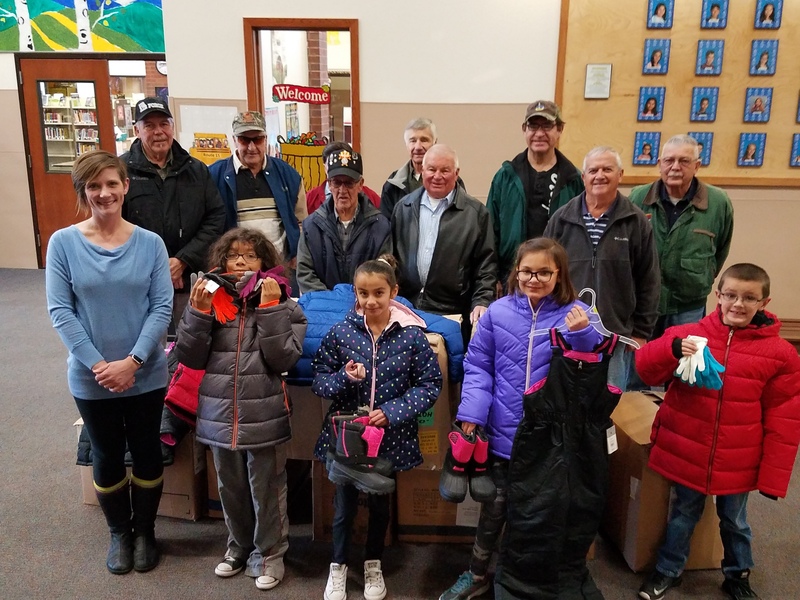 The Knights of Columbus – both in Summit and Lake Counties – have generously donated coats, boots, gloves and snow pants to the students at LCIS. They have put a lot of thought and effort into making sure that the students in our school are warm and cared for. These generous men began collecting information about the students’ needs in mid October and worked hard to get the cold weather gear to the school before the cold weather arrived. What an amazing message this sends to our community, our schools, our staff and our students. They are a great role model for all of us! Thank you so much for keeping our students warm! The Knights of Columbus pose with some student “coat models” for a picture! From left to right back row: Paul Salas, Fred Ari, Jim McEachern (not visible), Orlando Martinez, John Yudnich, Ray Dawson, Ron Yudnich, Bob Vigil and Fred Fabian. From left to right front row: Aly Beery, StanLee Love, Nataly Trujillo Gallegos, Ashlee Ebuna and Riley Nacke. Next story Reminder: LCIS Winter Concert Tonight!